A separate study where you can relax, gather your thoughts, or shack up for a night of board games is close to the main house. You can choose to eat in the dining area in the kitchen, in a separate dining hall found farther down the way, past an outdoor kitchen and grill area—or al fresco, as we like to do, by taking our table and chairs to the grassy area by the water. The dining hall can also double as a small function room for meetings or parties. 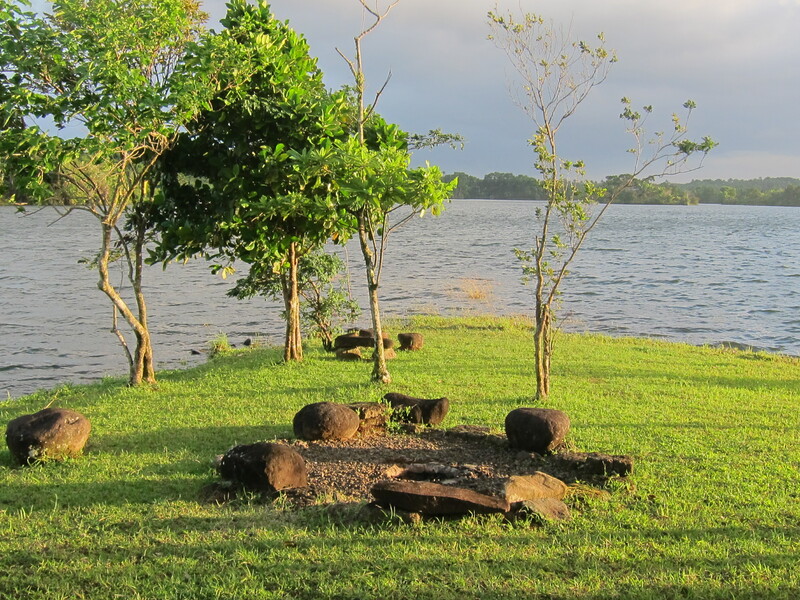 There is also a ‘dap-ay’ (a circle of stones surrounding a fire pit) at the head of the island where you can have bonfires. The island isn’t connected to the grid, but since we come here to retreat from the city, we actually don’t mind. Your daily rental includes use of the small and trusty generator from 6PM to 12 MN; if you wish to use it beyond those hours, we charge an additional P70/hour. * Note: To minimise environmental impact, we only allow a maximum of 15 guests at a time. And since we have sleeping amenities for only 10, guests numbering more than 10 are expected to bring to their own sleeping mats, etc. See Virtual Tour for pictures.